Schuylkill River Trail at Walnut Street Bridge in Center City Philadelphia. 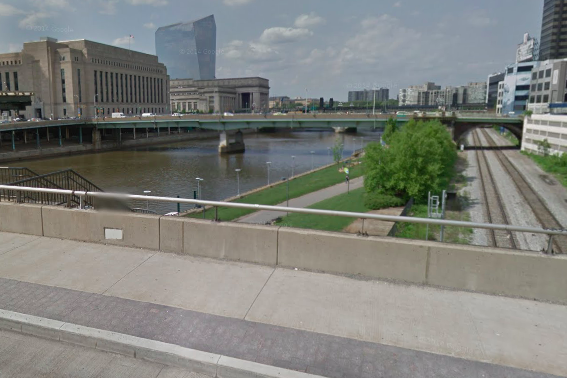 A body was found near 30th Street Station in the Schuylkill River Sunday afternoon. Police said the body of a Hispanic man was spotted in the water at Market Street and North Schuylkill Avenue just after 3 p.m. Police received a 911 call that a body had been found, and they later took the body, which was wedged against a wall in the river, to the city Medical Examiner's Office. Investigators pronounced the man dead at the scene. Police said the man was 49 years old, but have not released further information on the identity of the body or a cause of death.